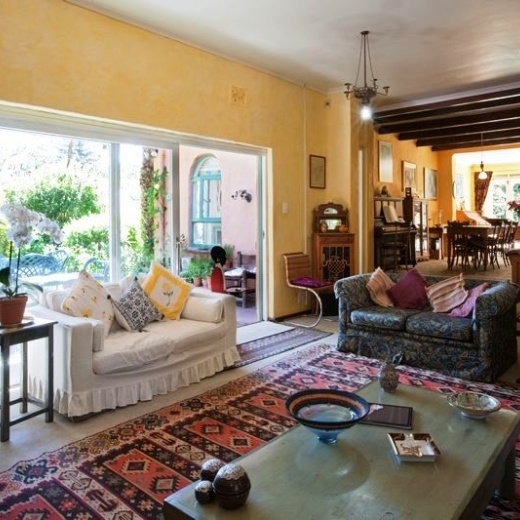 Situated in the heart of the Constantia Valley and offers its guests wonderful mountain views and tranquil gardens. The house has a Tuscan ambience and guests can make use of the communal lounge that is equipped with a TV as well as a fireplace. The garden is beautiful and tranquil which is extremely sheltered from the wind . 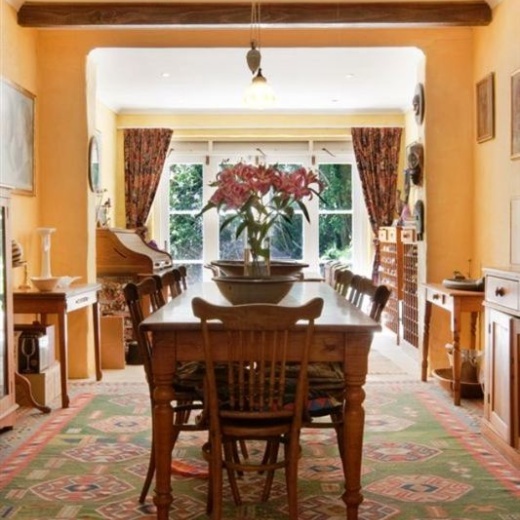 Rooms include a study/bedroom, a TV room, a dinning room and a extremely large family room with a grand piano. There are 6 TVs, a video player and Dstv connections for 4 of the TV’s and a music center in the living room. Small fridges are also located in the outside guest suites. We have a very large granite top kitchen with maple wood cupboards, a double eye level oven and a dishwasher with a separate laundry room. Enjoy lovely Continental and English breakfasts in the dining room and other meals are also available on request. Secure off-street parking is provided and airport transfers are available. Cynthia Magopeni, the house-keeper will be available Monday to Saturday from 8h00 to 14h00. (her services are included in the rental of our house). Cynthia has been employed at “La Pastorale” for the past 23 years. If required she is able to take charge of your laundry and ironing. Babysitting or work required after 14h00 will have to be arranged directly with Cynthia at your personal expense.